“As the leading globally lifestyle footwear brand, Crocs is constantly innovating and creating fashionable, creative designs while staying true to itself. Crocs’ ‘Come As You Are’ campaign does not only encourage the celebration of one’s uniqueness but also inspires us to never limit ourselves,” said Teh Teong Ei, CEO of Pinang Medical Supplies (PMS) Sdn Bhd. Pinang Medical Supplies is the authorized distributor for Crocs in Malaysia. 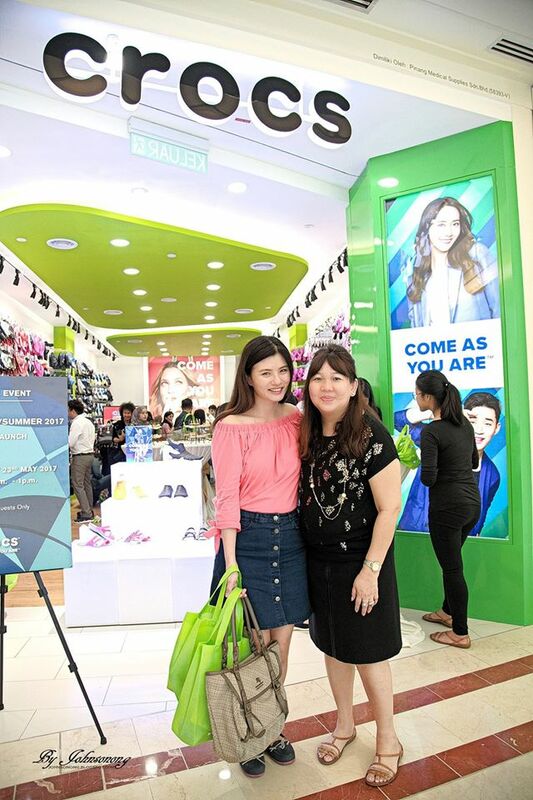 “The opening of a new Crocs concept store in Suria KLCC is part of our strategy to maintain a strong foothold in the Malaysian market. 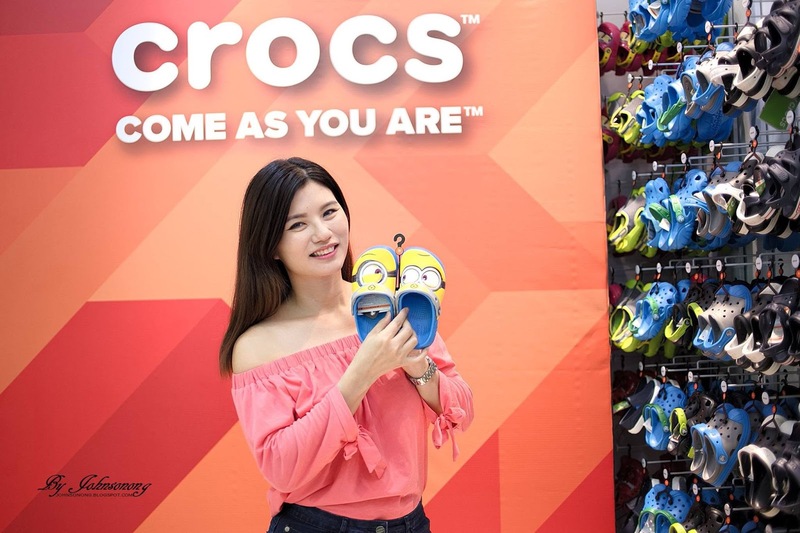 This significant expansion marks another exciting opportunity for Crocs to continue to bring comfort, fun, colour and innovation to the world’s feet,” Teh added. 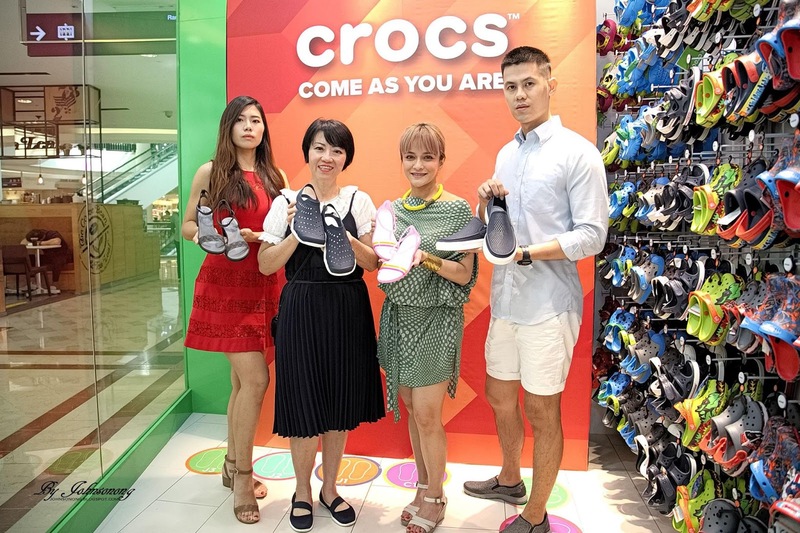 With the latest opening, Crocs has expanded its presence to 22 stores and 2 outlets in Malaysia. Feel more feminine and refined with the Crocs Isabella collection. A fresh take on the huarache, this strappy and stylish sandal is comfortable to be worn all day long. The soft translucent straps feel good on the feet with the iconic Crocs Comfort™, Croslite™ foam that cushions every step. The Isabella (RM229) is incredibly light, easy-on, practical styles with a fun, creative edge. Ready for date night? This pair of Isabella Block Heel (RM289) features flexible straps with buckles at the ankles to offer a secure fit, while the soft Croslite™ foam underfoot delivers comfort with every step. Beautifully embellished with braided straps, the 50-mm heels offer a bit of lift without taking a lady out of her comfort zone. Athletically inspired. Ambitiously feminine. Amphibiously functional. The Women Swiftwater Wave (RM209) has durable but soft perforated uppers to deliver great breathability and drainage, and the sling-back heel straps keep the feet strapped in. Fashionable cut-outs might just have the ladies wearing them even after sundown. These super versatile, multipurpose sandals can take a person from the day to night with ease. Flexible, comfortable straps do a great job of hugging the feet while still allowing the feet to be pulled and taken off with ease. The Women Swiftwater Wave Sandals (RM189) is a functional footwear with soft and flexible TPU upper for ultimate comfort. The Women Swiftwater Mesh Sandal (RM249) has lightweight, soft mesh and deconstructive uppers that offer maximum breathability. It is enhanced fit with supportive and easy on/off gore closures and adjustable, custom sandal strap. Do not give up on comfort or style – be yourself! The most active, water-friendly shoes to date, Men Swiftwater Wave (RM229) feature siped outsoles to channel water away and improve traction. The enhanced range of motion with outsole flex grooves is what one needs to be athletic, ambitious and adventurous. Vintage sneaker style never felt so good. Men CitiLane Roka Classic Slip-On (RM269) is a mash up of classic sneaker looks with iconic Crocs Comfort™ for one of the most wearable slip-ons Crocs has ever made. The molded construction keeps it super light — it is a breezy, easygoing style, making it the right call around town, on the road, or anywhere with the right mix of comfort and laid-back attitude. 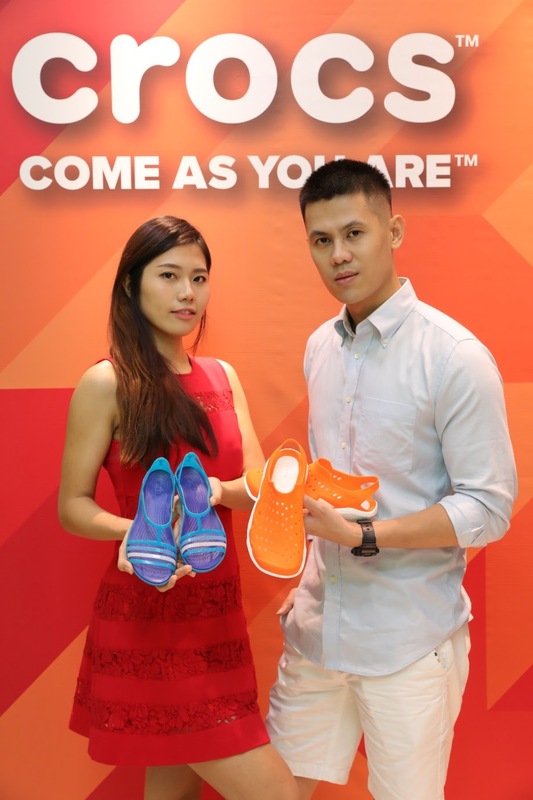 With Men CitiLane Canvas Lace (RM289), one can stay in the lane or step out of the lane. 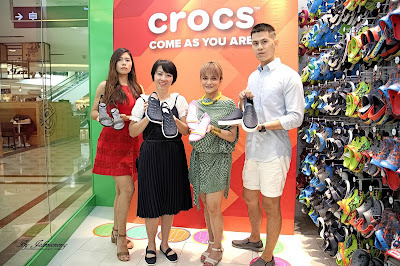 Designed with canvas uppers and Dual Crocs Comfort™ for deep cushion with all day support, this is the perfect go-to shoes. Pair them with jeans, chinos or shorts or even sneak a pair into the next big meeting. Their classic look is versatile enough for any man's wardrobe. Slip into the Classic Clog (RM169) and enjoy a custom fit, water-friendly design and ventilated forefoot for breathability. 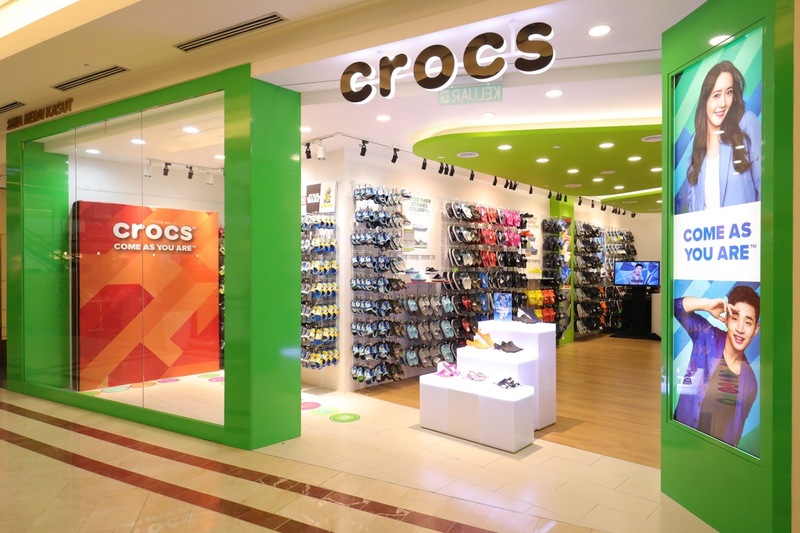 It is fully molded in Croslite™ material for signature Crocs Comfort™. The heel strap offers a secure fit and the lightweight odour-resistant clog is also easy to clean, and quick to dry. The Crocband Clog (RM189) is built with signature Croslite™ material for a form-to-foot fit and heel straps that swing back for a snug fit and forward or wear as a clog. Offering a vintage style and classic Crocs Comfort™, this water-friendly clog has lightweight cushioning and comfort with bold midsole stripe for a sporty look. 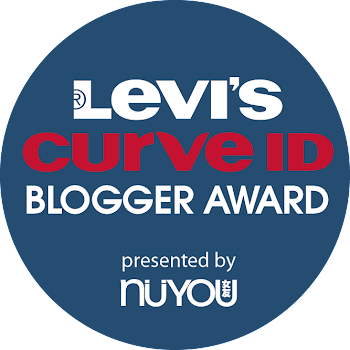 This is so nice.. which one did you get for yourself. nice to wear them too. so many choices now, shall check out outlet soon. I m quite keen on the Isabella Block Heel also.